Friday Night Fun: Let’s Log Cabin! Knitting the log cabin block is a fun technique you’ll want in your toolbox as there are so many things you can make when you get this down: accessories, blankets, or even a fabulous sweater. 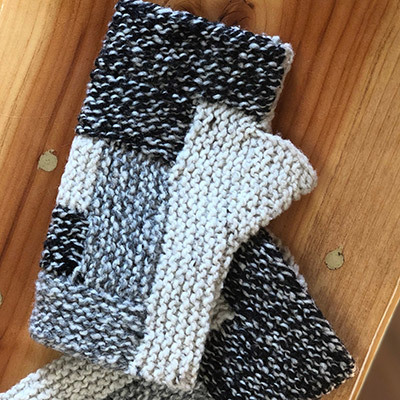 In this class, we will knit a log cabin block that you can turn into adorable fingerless mitts. Come spend a Friday night out with friends or come solo and make new ones as we knit together. Light refreshments will be served. All you need to bring with you are 3 worsted weight yarns and size US size 6 needles.